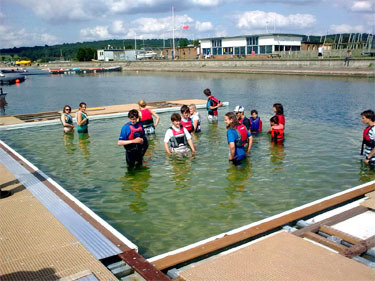 Solent Marine's pioneering solution for the pontoons & access at Farmoor reservoir is now beginning to take shape. 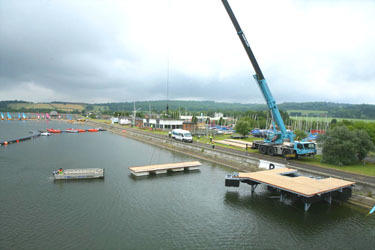 All the main pontoons are now in place ready to take the bridge, this includes the upper & lower landing stage (with bridge), custom boat ramp & under-water platform (pictured below). It won't be long now until the upper bridge is onsite ready to take the disabled lift for its first trip down to the pontoons. This arrangement will be the first in the country & Solent Marine are proud to state that we designed & built everything in house.